I skipped my weekly book haul post last week because I had a friend from Illinois come to Arizona for a weekend getaway. It's been cool and rainy all summer there, and she was determined to get every hour of sun that she could. So we played all weekend, getting manicures and massages, swimming, going out to eat. It was a four day escape from life, and that included blogging. Having my youngest turn 18 has turned my life upside down. I'm entering the empty nest phase and depending on the day, or sometimes the hour, I think it is either the greatest or worst thing ever. Today as I sip my coffee, and blog, I'm feeling good. I know that everyone who has kids goes through it, but when it's happening to you, it feels like you are the first person to ever experience it. But it colors everything, including what you are reading. I just finished Celeste Ng's "Everything I Never Told You", and it was heartbreaking. 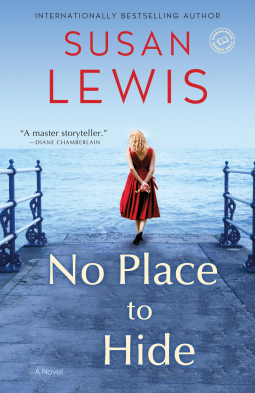 Chamberlain, and Heather Gudenkauf, No Place to Hide is an intimate and deeply moving story of one woman's desperate attempt to escape a troubled past—and the haunting mystery she's forced to confront. Fleeing her native England with her three-year-old daughter, Justine Cantrell gives herself a new name and a new life in America. In a quiet midwestern town on the shores of glittering Lake Maxinkuckee, Justine hopes to recapture the fleeting days of happiness in the long-ago summers she spent with her grandmother. And though her memories of that time are scant, Justine knows they must have shared a special bond. After all, the power of her grandmother's love has pulled her back to this haven in search of a new beginning. But fate has other plans. The more Justine gets to know the small town and its people, the more she realizes that her grandmother had her own devastating secrets—secrets that will soon threaten Justine just as surely as her own dark memories. The Sparrow Sisters are as tightly woven into the seaside New England town of Granite Point as the wild sweet peas that climb the stone walls along the harbor. Sorrel, Nettie and Patience are as colorful as the beach plums on the dunes and as mysterious as the fog that rolls into town at dusk. Patience is the town healer and when a new doctor settles into Granite Point he brings with him a mystery so compelling that Patience is drawn to love him, even as she struggles to mend him. But when Patience Sparrow’s herbs and tinctures are believed to be implicated in a local tragedy, Granite Point is consumed by a long-buried fear—and its three hundred year old history resurfaces as a modern day witch-hunt threatens. The plants and flowers, fruit trees and high hedges begin to wither and die, and the entire town begins to fail; fishermen return to the harbor empty-handed, and blight descends on the old elms that line the lanes. It seems as if Patience and her town are lost until the women of Granite Point band together to save the Sparrow. As they gather, drawing strength from each other, will they be able to turn the tide and return life to Granite Point? 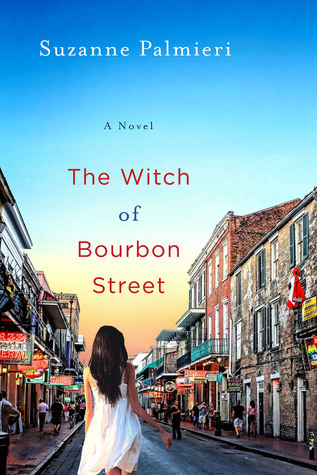 Set amidst the charming chaos of The French Quarter and remote bayous of Tivoli Parish, Louisiana, Suzanne Palmieri’s The Witch of Bourbon Street weaves an unforgettable tale of mystery and magic. However, Frances has no wish to be the family’s savior. Disillusioned, she marries young, attempting an "ordinary life," and has a son, Jack. When her marriage fails and she loses custody of her boy, she runs away to live a quiet life on the dilapidated Sorrow Estate, where she practices solitary magic amid ghosts and gardens. But when Jack disappears, she is forced to rejoin the world she left behind and solve the century-old murder that casts a long shadow over Tivoli Parish and its inhabitants in order to find her son. The Witch of Bourbon Street is a story of love, family, redemption and forgiveness. It’s a story that bridges the nostalgia of time, and brings those that are separated back together again. 1891—Living separately for three years, fourteen-year-old twins, Katherine and Tommy Arthur, have done their best to make each boarding house feel like home. But unrest grows as they are driven to questionable actions just to survive. Meanwhile their desperate mother is confronted with breaking yet another promise to her children. Then a miracle descends. Hope rises on a cold, rainy night and changes everything. If Jeanie could just get word to Katherine and Tommy, she knows she can set their lives right again. Agitators, angels, and dangerous “saviors” illuminate the Arthurs’ unmatched determination and smarts. 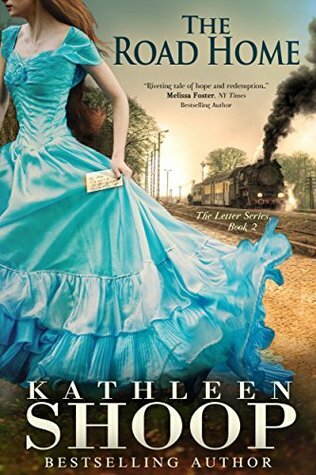 1905—Though she tries to forget the awful years that hurt so much, the memories still haunt Katherine. Now, tearful mourners at her mother’s funeral force her to revisit a time in her life that both harmed and saved her in the most unexpected ways. Tommy grieves his mother’s passing as well. He too is thrust backward, compelled to rediscover the events in his life that shaped the man he has become. Will he commit to reconstructing his broken life? The Arthurs come to understand that forgiveness is the only way back to hope, the only way to find all that was good in the misfortune that transformed their lives forever. Fire Season by Hollye Dexter....Who would you be if you lost everything? Hollye Dexter and her husband Troy woke one night to find their house ablaze. To escape the fire, they had to jump from their second-story window with their toddler son—and then watch their house and home-based businesses burn to the ground. Over the next two years, the family went bankrupt, lost their cars and another home, and got dropped by their best friends. As the outer layers of her life were stripped away, Dexter began to unravel emotionally; but then she found herself on the brink of losing her marriage, and she realized that if she was going to save her family, she would have to pull herself back together somehow. As she fought to reassemble the pieces of the life she’d had, Dexter discovered that a shattered heart has the ability to regenerate in a mighty way; that even in the midst of disaster, you can find your place; and that when everything you identify with is gone, you are free to discover who you really are. 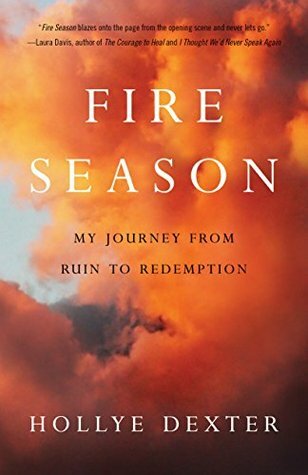 Poignant and inspiring, Fire Season is a story for anyone who has ever lost hope—and found it again. Dracula has terrorized the Transylvanian countryside. Every attempt to destroy his evil has failed, leaving the villagers of Vasaria in despair for generations. A sliver of hope arrives through an unlikely alliance with a small pack of werewolves who have been waging their own war against Dracula’s evil tyranny. While the villagers and the werewolves struggle among themselves in addition to Dracula’s forces, another unforeseen force becomes known: Dracula’s half-vampire-half-human son, Alucard, who appears to have joined the fight against his father. While Alucard adds additional and much-needed assistance in the battle against Dracula, his intentions are less clear. Is he heroically freeing the world from his father’s evil, or does he have his own nefarious agenda in mind?